This week's theme is all about the colors TEAL, PURPLE, and WHITE! 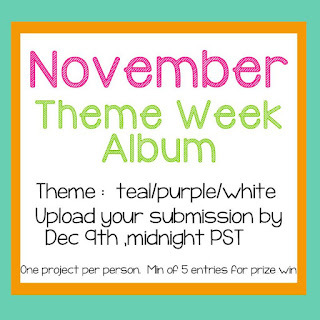 So here we go for November's Theme Week! 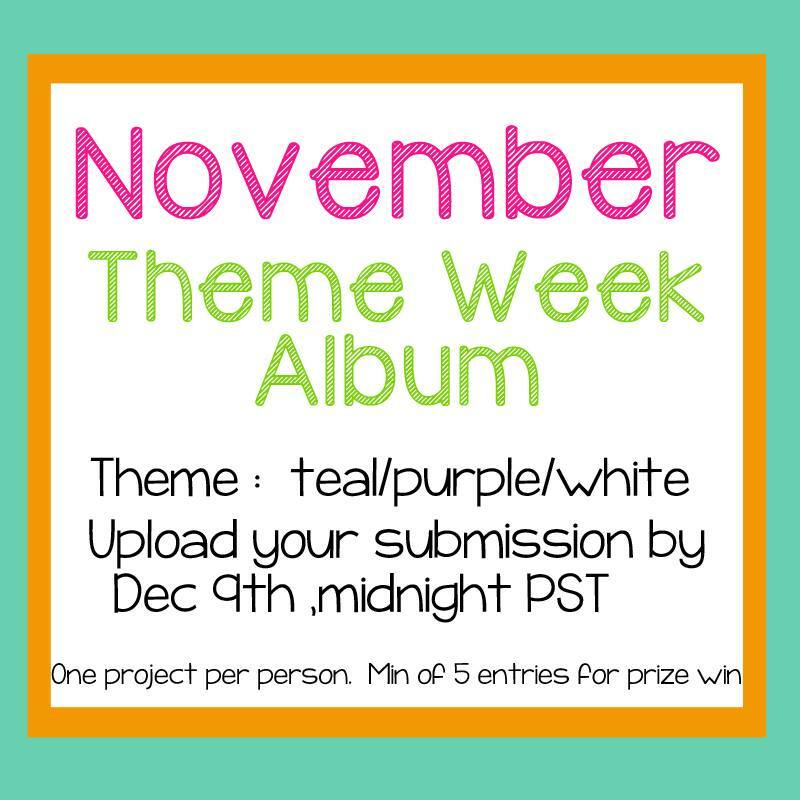 Make ANY project that is inspired by the colors TEAL, PURPLE, and WHITE! Thanks so much for stopping by today! I hope you get along to play with us over at our Facebook group found HERE! We always love seeing what you create! It's Wednesday and it's time for another new card I created for Stamp Anniething! I decided to color up Annie - Warm & Toasty for my card today. The weather is cooler, tomorrow is Thanksgiving and soon it will be Christmas! In California, we may not experience the true feeling of having four seasons, but we do welcome the cooler weather - This calls for cute scarves and UGG boots! I paired Annie up with some American Crafts patterned paper and added the included sentiment - it's a perfect card for Christmas! Thanks so much for stopping by today! Have a wonderful Thanksgiving weekend and we'll be seeing you all next week for THEME WEEK! You won't want to miss it! I'm here with a new card to share with you today! The weather is cooler and it's time to bundle up in boots, scarves, hats and sweaters! It's starting to become one of my new favorite times of the year! For my card this week I colored up Brittney - Winter Wishes with my Copic markers. I wanted to make her boots look like Uggs and I think they do, don't they? :) The patterned paper is from American Crafts and with such "wordy" paper, I think it looks just perfect - even without an official sentiment! It's Wednesday and I'm here with another new card to share with you today! I thought it would be fun to create a masculine card so I decided on using James - You're so Hip. Paige is available in the store FRIDAY along with the other 2 stamps we show you this week!! We hope you enjoyed Day #2 of our November release! Be sure to check out what the rest of the design team created with this image over at the Stamp Anniething Blog! All of the new stamps are available TOMORROW in the store! So get your wishlist ready and set an alarm! 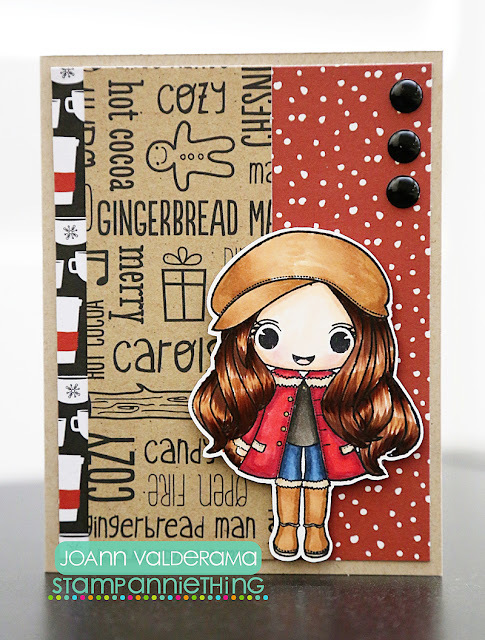 Brooke is available in the store FRIDAY along with the other 2 stamps we show you this week!! We hope you enjoyed our November release! 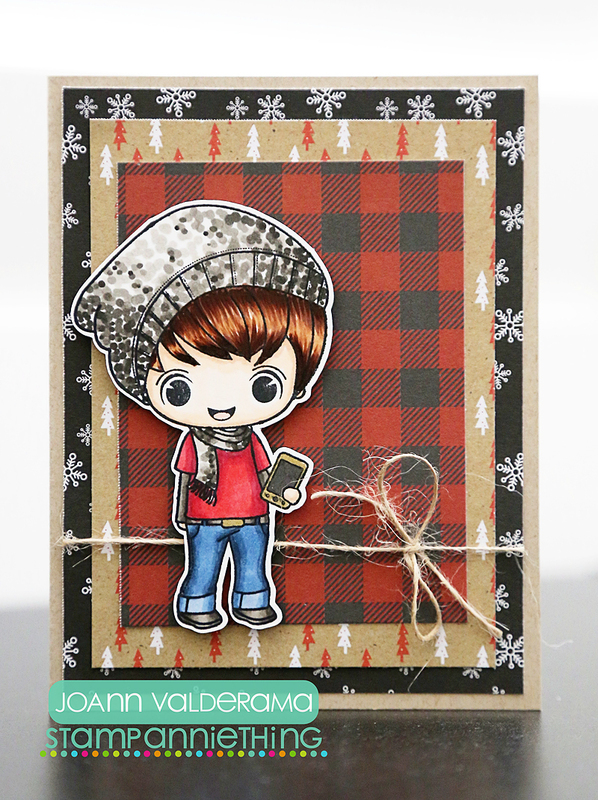 Be sure to check out what the rest of the design team created with this image over at the Stamp Anniething Blog! All of the new stamps are available FRIDAY in the store! So get your wishlist ready and set an alarm!